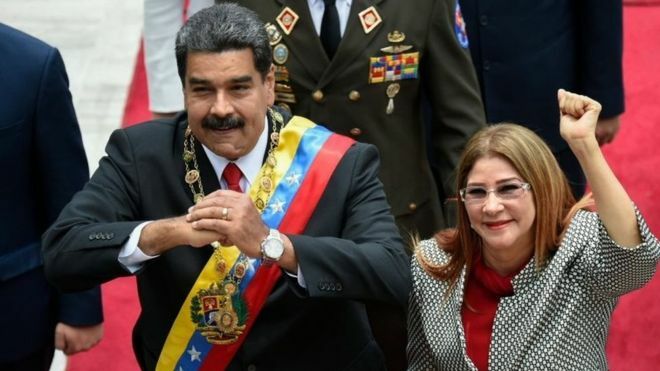 The US treasury department has imposed financial sanctions on Venezuela's First Lady, Cilia Flores. The move comes just over a year after President Nicolás Maduro had his assets frozen by the US government. 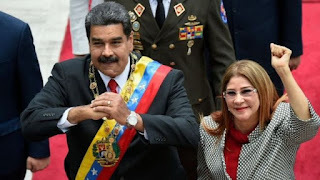 US treasury chief Steve Mnuchin said the Venezuelan "regime systematically plunders what remains of Venezuela's wealth". Mr Maduro later thanked the US in a televised address "for surrounding him with dignity". In a speech at the United Nations in New York on Tuesday, US President Donald Trump said Venezuela was one of the "truly bad places" in the world. He also said Mr Maduro could be toppled "very quickly" if his own military decided to turn on him. "It's a regime that frankly could be toppled very quickly by the military if the military decides to do that," Mr Trump said as he met on the sidelines of the UN General Assembly with Colombian President Ivan Duque.